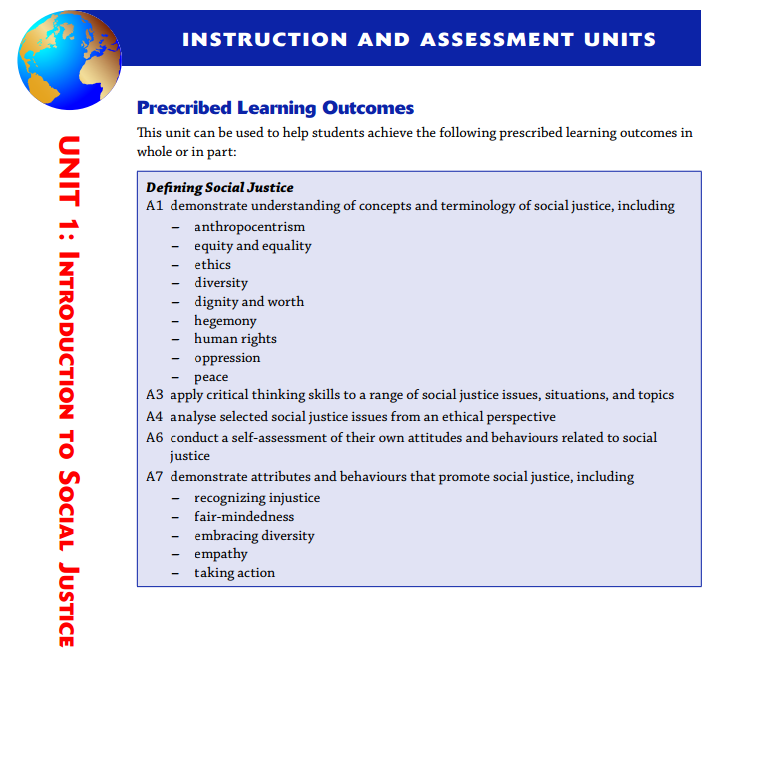 Unit 1: What is Social Justice? In this unit, you will explore the meaning of terms such as equity, human rights, and marginalization. You will want to keep the essential questions in mind throughout the unit. Use these questions to help guide your reflections so that you might use your reflections in your unit project/paper. How can cultural experiences shape, impact, or influence our perception of the world? How are people influenced by changes in their worlds? Why is storytelling an important aspect of a culture/society? How can an author use a work of fiction to make a statement about culture? How can one person make a difference when encountering a social challenge? How do people communicate effectively? How do visual images enhance or create meaning? How do media sources impact our understanding of the truth and significance of an issue? How can an examination of texts through multiple perspectives affect understanding?